File Photo of action in Indore. Indore, November 26, 2014: Emerald Heights School’s girls made the most of their home advantage, to the extent that they won the girls crown of the Indian School Basketball League (ISBL) organized Basketball Federation of India and Madhya Pradesh Basketball Association in collaboration with IMG Reliance (IMG-R) at Emerald Heights School in Indore on Wednesday. The hosts’ girls team beat Delhi Public School 30-24 in a tight contest. It could have gone either way if not for Emerald girls’ persistent attack. Princi’s 15 points sealed the deal for the home side. Meanwhile in the boys category, Bhavans Public School beat Advanced Academy in a one-sided final. 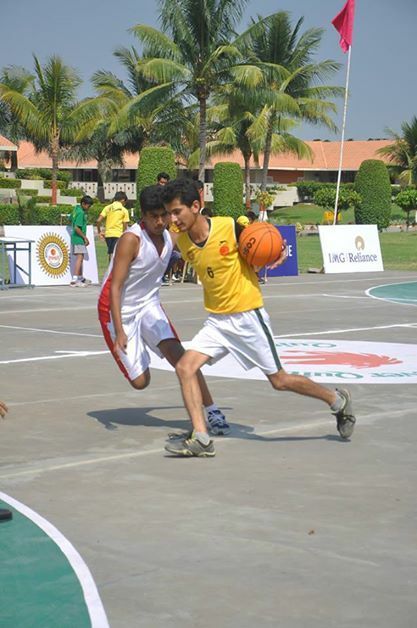 The scoreline 51-22 said all about Bhavans School’s dominance as they became the best basketball school in the city.